Hello! I just LOVE sketch challenges and I really liked this one so I had to give it another go. I made my first Newton's Nook Designs purchase recently and this is one of the sets that I bought, Autumn Newton. 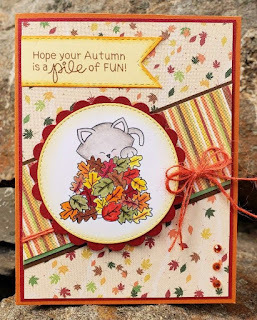 Fall cards are some of my favorite cards to make, love all the warm colors. This one was a lot of fun to color. Thanks for stopping by and be sure to come back again soon. List of challenges are listed below. You picked an awesome set for one of your first Newton's Nook purchase!! 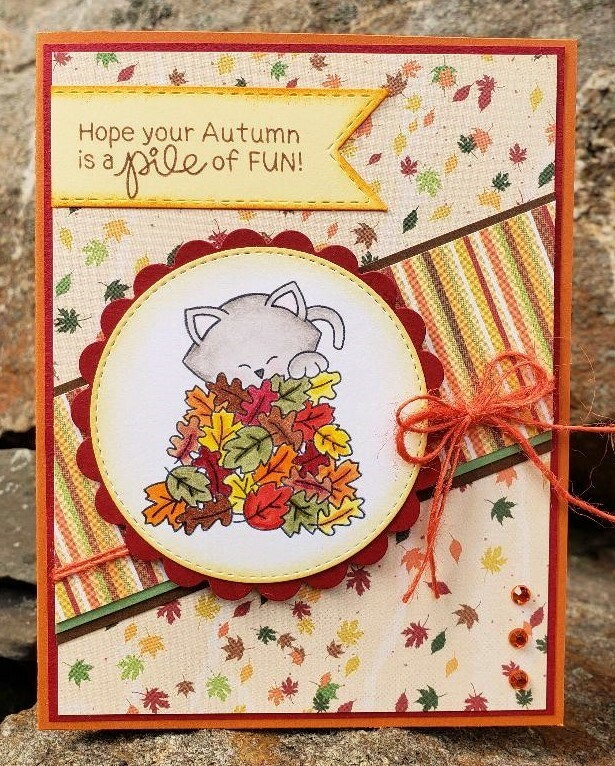 Check out NN blog for some great fall theme stamp sets coming out, since you like autumn. Your card was adorable! 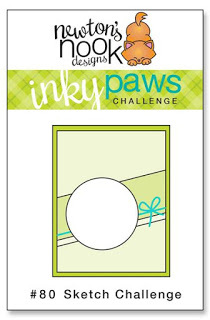 Thank you for playing along at Inky Paws and I hope to see you in entering more challenges using your new purchases! Those NN images are always the cutest, and this is no exception! Great papers and a fun sketch to boot! Such a sweet Fall card! Love that leaf pile! What an adorable card! Thanks for linking to the Inky Paw's Challenge. Your paper choice is spot on with this Newton image! A wonderfully designed autumn card! Thanks so much for sharing this gem with us at Inky Paws Challenge!